Meteorologist Larry Mowry is a big fan of using weather graphics, including augmented reality, to enhance his storytelling. We profiled Mowry, who is a forecaster at ABC O&O WLS in Chicago during our focus month on weather software. 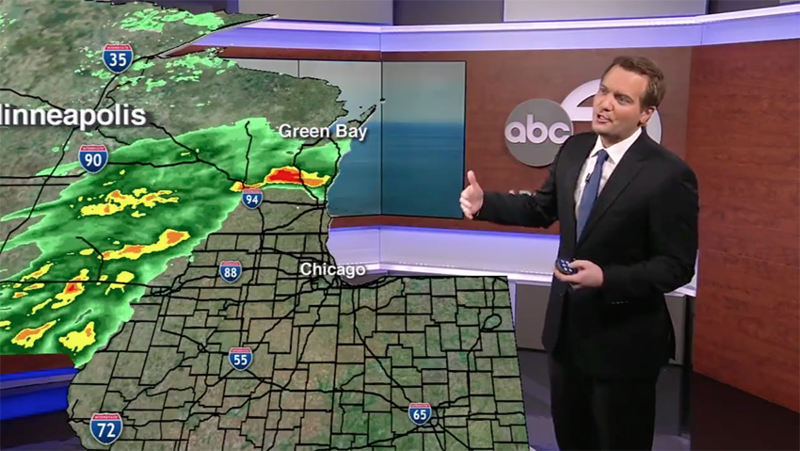 But it’s worth revisiting Mowry and WLS now since the station has been actively using the augmented reality feature of The Weather Company’s Max software for some time now. 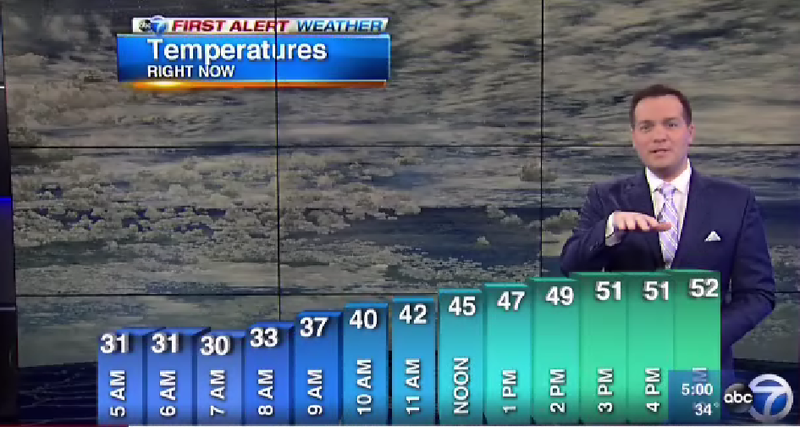 The technology is used in studio segments, such as the temperature trend explainer shown here. 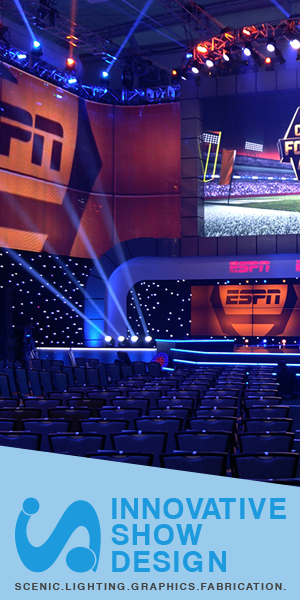 For this segment, an oversized bar chart was placed to appear as it was “sitting” in front of Mowry, who was standing in the studio’s multipurpose standup alcove. The setup allowed Mowry to interact with the bars that illustrated temperatures in chronological order from left to right. Mowry also appeared in a studio segment that combined a sort of cut out of a radar map overlaid over a shot of him standing in the station’s streetside studio interview area. Another studio use is for the morning newscast’s “bus stop forecast,” when a 3D school bus is “parked” on the studio floor next to the standing forecaster, but the technology is also applied in the field. 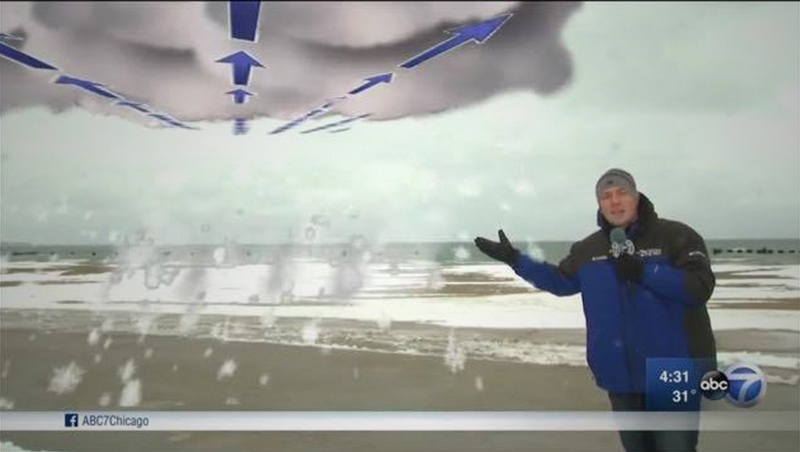 Mowry stepped outside the studio to the shores of Lake Michigan to create an augmented reality segment that showed the science behind lake effect snow. Digitally created clouds and snow were incorporated into the video clip, making them appear to be floating over the real image of the lake, while the addition of large bold blue arrows helped illustrate air flow. Mowry also ventures outdoors with an augmented reality segment that showcases the snowfall deficit over the past winter. 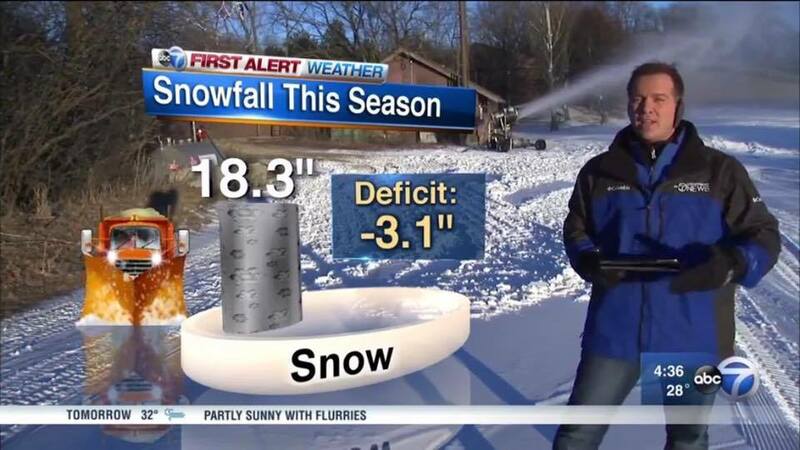 This graphic featured a virtual snowplow and column of snow under a floating header borrowed from the station’s normal weather graphics package. 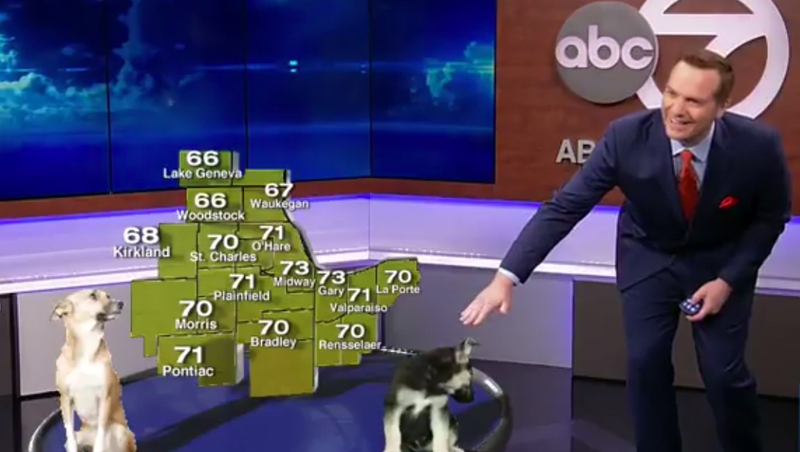 Mowry also took a page from sister station WPVI in Philadelphia, adding virtual dogs to his forecast. This article is part of our Focus On Augmented Reality. View more from the series here.